Wooden storage furniture family with customizable rope handle. Nodo combines design, innovation and functionality. The rope of the handle is inserted through the door/drawers holes so you can create many different combination of symbols, letters or numbers. The customizable rope handle, the fine finishing, the accurate details such as the inclined oak feet enhance the minimal line of this furniture that combines style to functionality, with a modern character. Nodo furniture family is composed by bedside table, wardrobe, tallboy, chest of drawers, sideboard, cabinet credenza and buffet. Finalist project for Young & Design 2015 award. Nodo Buffet: elegant, capacious, modern this design buffet can easily be placed in the dining room in order to store dishes, glasses, mugs and various objects or as media unit, tv unit where you could hide the things you want to keep tidy. 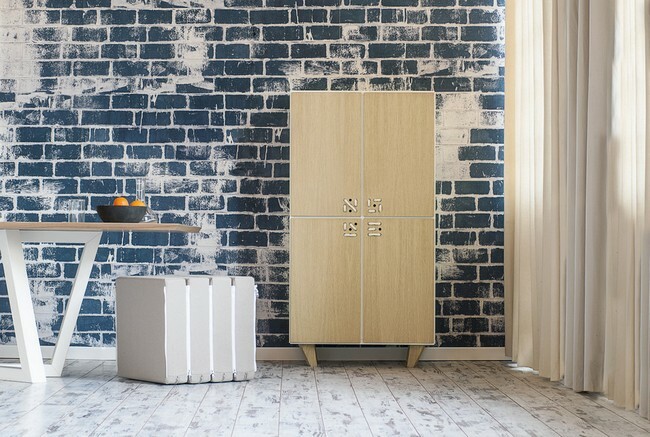 Elegant and modern, Nodo Sideboard has two swing door front that hide the spacious compartments where you can place pottery and tableware that you want to keep tidy and right at hand at the same time, in the dining room, living room or kitchen. The contrast between the warm oak tome of the door front and the white structure, the peculiar finishing enhance the design of this sideboard. Credenza cabinet is part of the Nodo storage furniture collection, its four spacious shelves are suitable for pottery and tableware storage, it adds an elegant, design touch to any living or dining room. Nodo Credenza cabinet detail. 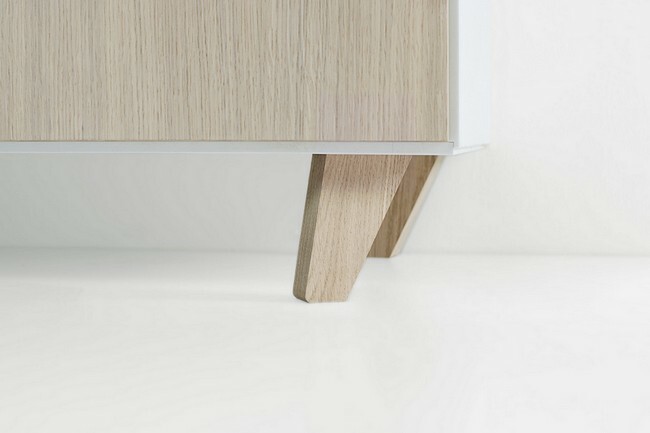 The fine finishing, the accurate details such as the inclined oak feet enhance the minimal line of this cabinet that combines style to functionality. 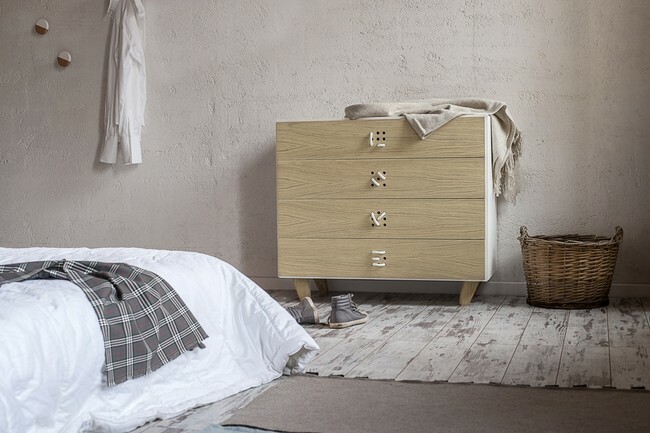 Nodo Chest of drawers is a versatile piece of furniture that can suit many different “interior situation”: from living room to bedroom. It has four spacious drawers that can be personalized with codes, symbols and numbers created with the rope handles in order to identify your clothes or things stored inside. The solidity of the structure becomes lighter thanks to the original touch of the inclined feet made of solid wood. 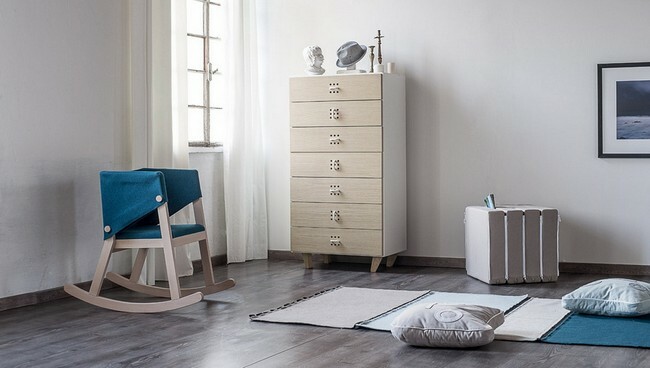 As the other elements of the family, Nodo Bedside Table has the inclined foot and the “code” drawer handle, if you insert the rope on the holes you can personalize the handle with numbers, letters or symbols. 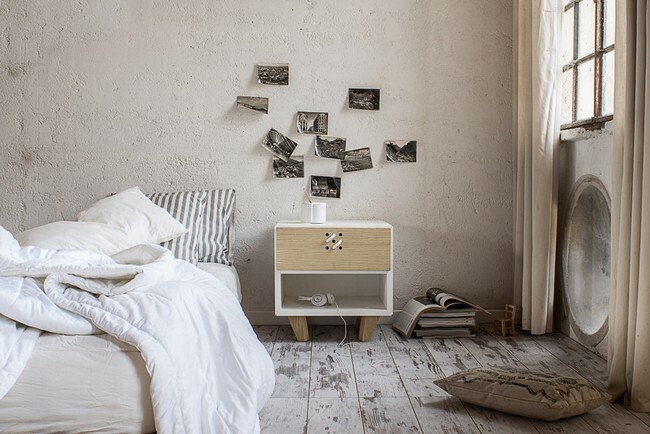 The top can keep the objects you need to sleep well and that helps you to wake-up with a smile. 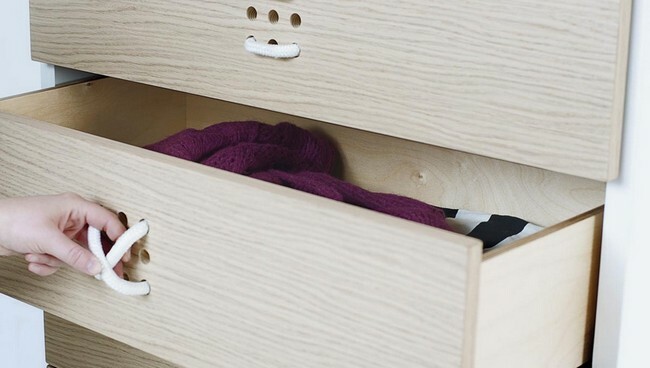 Thanks to the capacious drawer and to the handy compartment you can keep thing tidy. In the bedroom is perfect coupled but it doesn’t disdain the bachelor life! 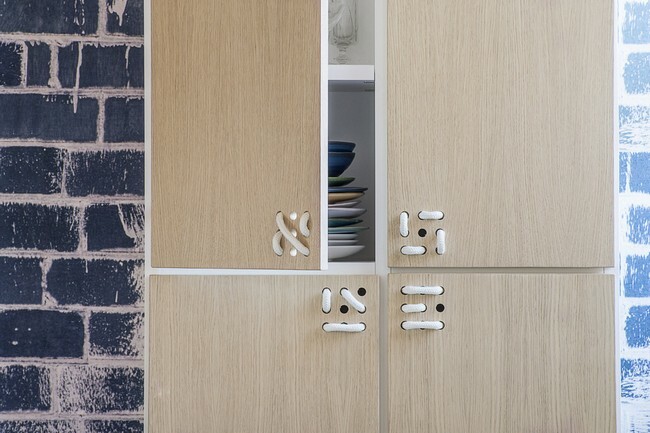 Nodo Wardrobe is a storage furniture with the characteristic personalizable handle, simply insert on the door front holes the rope and design the combination you like. 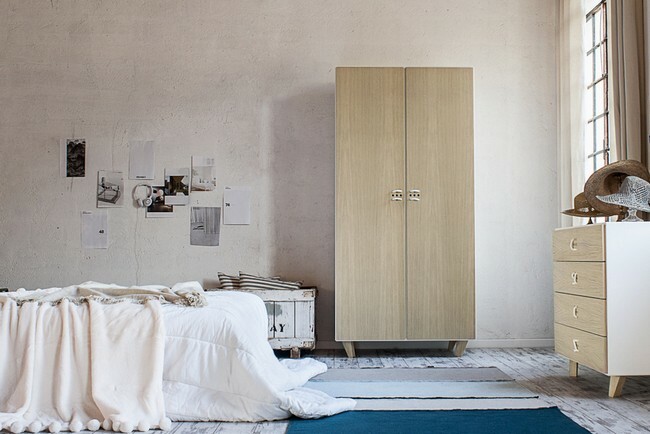 Nodo Wardrobe has two swing doors and a spacious inside compartment with coat rack. The elegant feet made of solid wood that lift the structure from the floor and facilitate the floor cleaning, are inclined to lend to the closet a touch of originality. Nodo Tallboy, a drawer for each day of the week or a space dedicated to clothes or specific objects that you can recognize thanks to the symbol made with the rope handle: with the tall chest of drawers of the family Nodo, the mess is done! Seven handy drawers with four inclined oak feet and this tallboy will bring tidiness in your home! The rope of the handle is inserted through the door holes. You can also give a code for the identification of the drawers contents. 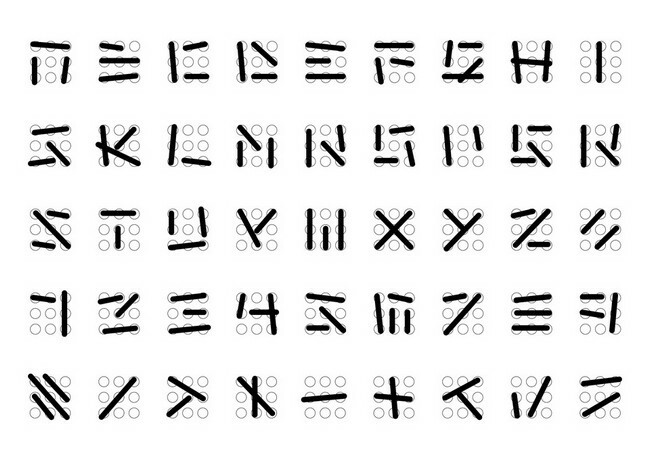 You can create many different combination of symbols, letters or numbers. The elegant feet made of solid wood that lift the structure from the floor and facilitate the floor cleaning, are inclined to lend to the closet a touch of originality. Important Notice: Nodo has been produced and marketed by Formabilio from 2014 to 2015. From January 2017 Nodo is available for new editions.